I recently discovered how to make soap and it’s really fun and simple! Be sure to check out my Kids Soap Tutorial HERE. You can see my sweet daughter actually make soap all by herself! 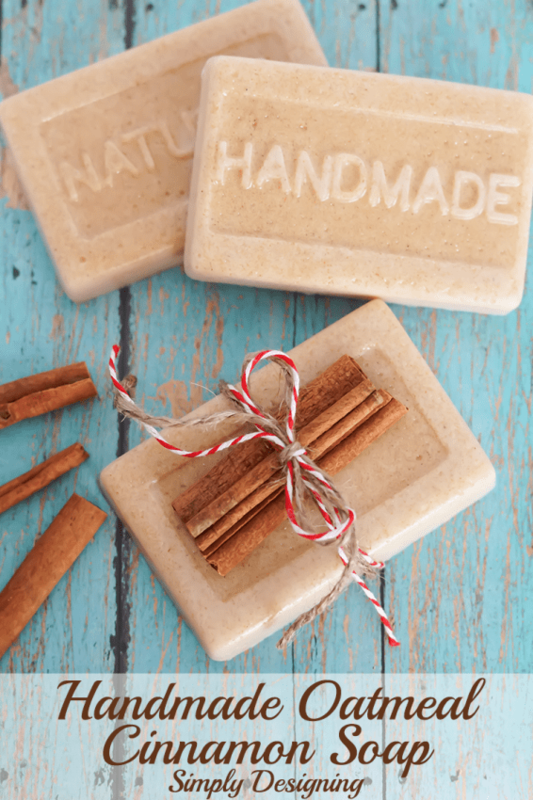 And today I created some really fun and festive handmade oatmeal cinnamon soap! This makes a perfect holiday gift, for men or women. It smells amazing and only takes a few minutes of hands-on time. The other day I hinted that I was buying a few supplies online for an upcoming project and I was so excited when my supplies arrived the other day! I got to work immediately creating this Oatmeal Cinnamon Soap and love how it turned out. First, cut your Oatmeal Soap base into smaller pieces and place it in a microwave-safe dish. Microwave the soap on a lower power for 30 seconds at a time, stirring in between. 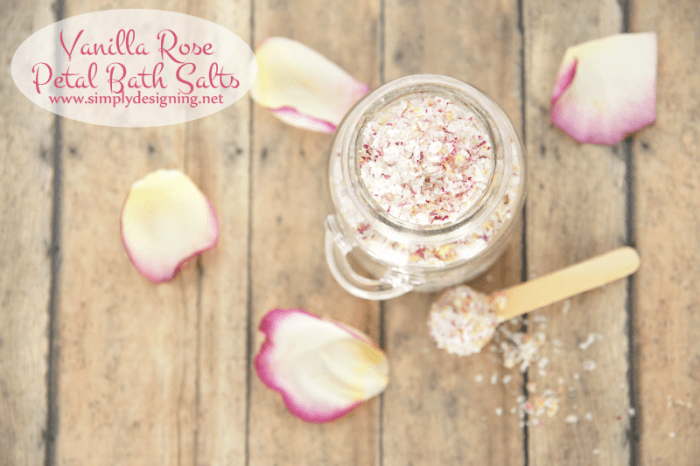 Once the soap base is melted, add your cinnamon bark essential oil and stir well. 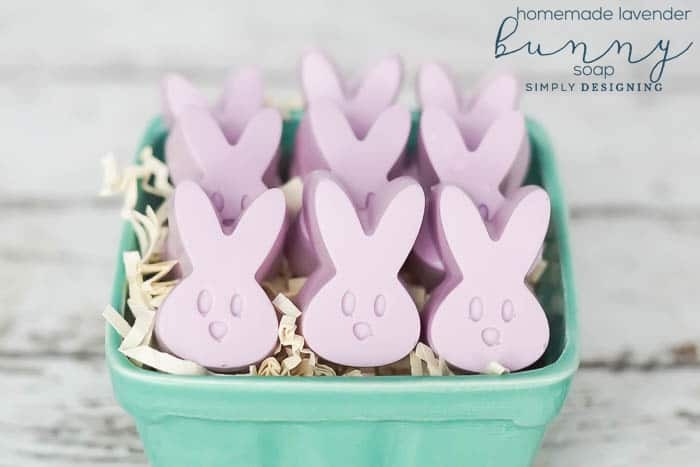 Coat your soap molds with a thin layer of cooking spray if you are using plastic molds, and pour the melted oatmeal cinnamon soap into the molds. Allow the soap to set completely. I placed my soap outside in my cool garage to help these set quickly. 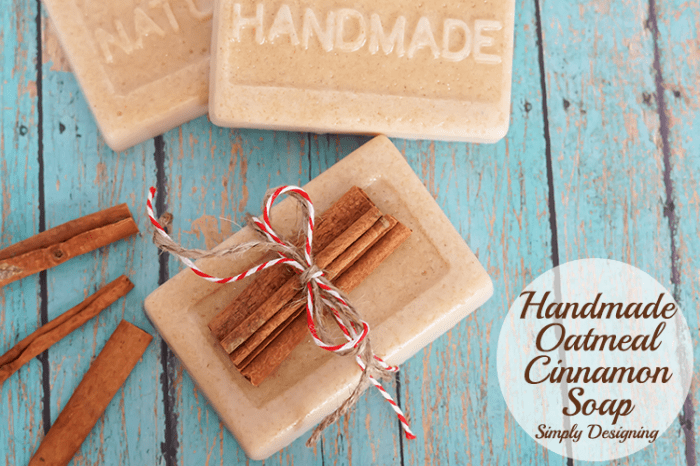 The oatmeal cinnamon soap will pop out of the molds very easily if the soap is completely set. I tied these up with a bit of jute, twine, and a few cinnamon sticks! And they are perfect to give as holiday gifts this year or just because! ***Since the time I wrote this post, I discovered the amazing benefits of Young Living Essential Oils and now exclusively use those essential oils and I never use fragrance oils. I changed this recipe to reflect that. My granddaughter is knee deep in school projects; we could have an awesome time with this machine while learning something new together! How awesome is that! 🙂 Thank you for this fantastic opportunity! I would create some vinyl words for above my couch in my living room. 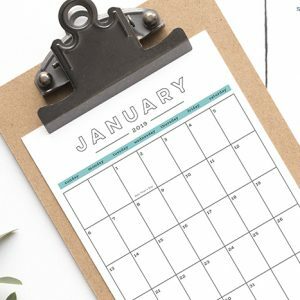 I love this site and all the wonderful ideas! Thanks. I’d want to try the Explore on metal! 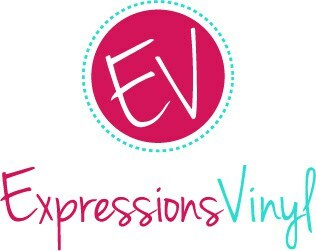 I will make stencils, cards and oh so many other wonderful things. Thank you for this giveaway. This project is so pretty! It seems pretty easy to make too. I bet the oatmeal cinnamon smell is amazing. Thanks for sharing! These look lovely. What a great gift they would make. So lovely soaps. Already smell the fragrance. Wow I bet this would smell and feel great!! Going to have to try this. Your soap turned out so pretty! I bet it smells amazing. Would make wonderful gifts. Thanks for sharing, and a chance in the drawing! I would love to create vinyl lettering for my kitchen! I would use the Circut Explore machine in my card making projects. I think it would be great to cut out vinyl!!! I love the circular doilies and paper flowers, so I would definitely make a variety of them. I absolutely LOVE your projects!!!! Thank you for all of them!! Definitely work on making some stencils! I would cut images for several decoupage projects I have in mind. I was thinking of making bunch for my baby shower.?? Is this gonna last long enough and if not what do u use then? 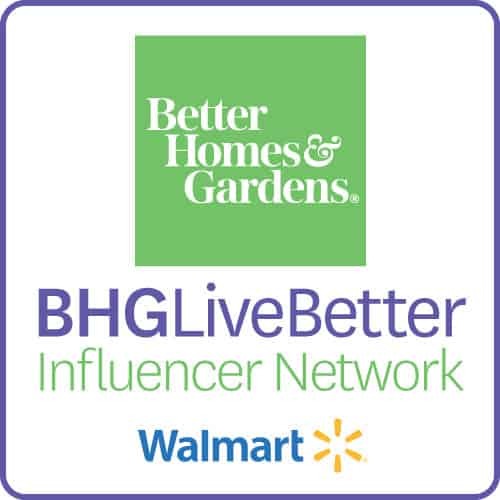 Hope to hear from u. Ty! They will last at least a couple of months. To be honest I have never had any around longer than that! But they really should last a long time. Best of luck! How many soaps will this make? How big were your molds? Thanks!! 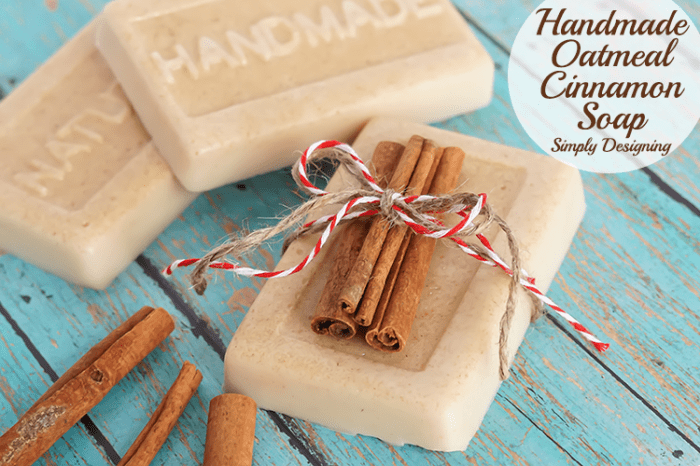 I think your idea of DIY oatmeal cinnamon soap is so creative! 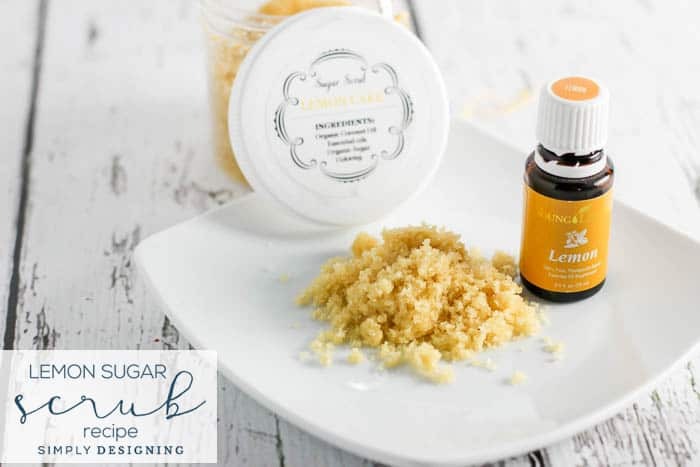 I am not sure that if I could add some lemon essential oil? Thank you for sharing this DIY tutorial. Yes of course you can definitely add lemon essential oil to this! 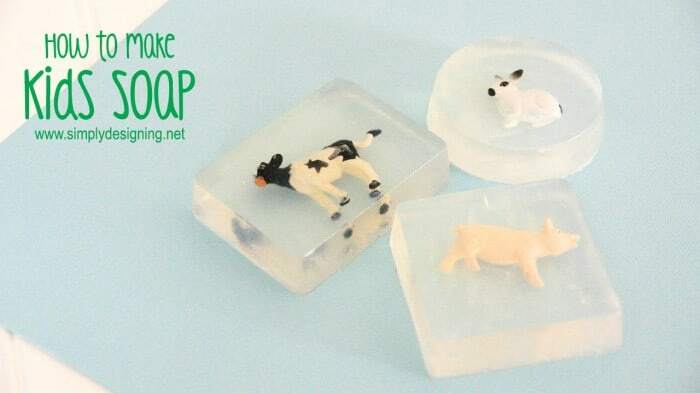 Soaps are so great to make because you can definitely modify them for your own preference! how many drops of the cinnamon bark oil do i add? I’m excited to try this for christmas gifts! also where did you get the ‘handmade’ molds? Thank you! Love these! 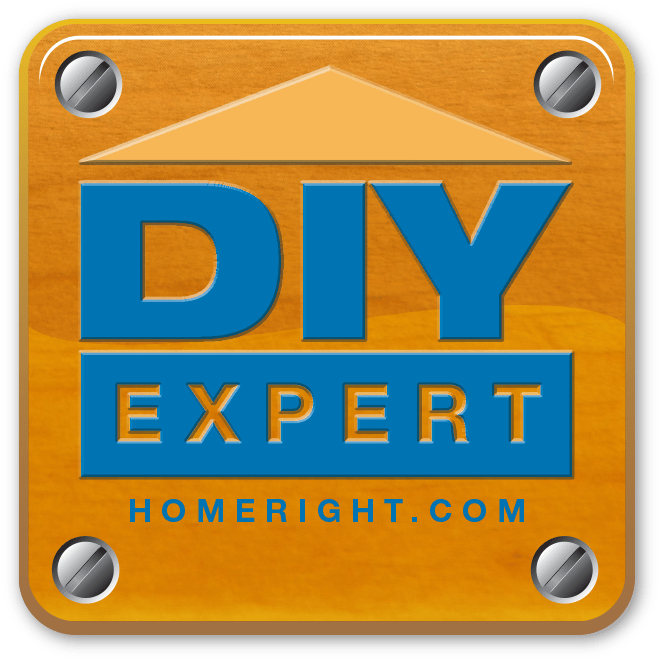 Where did you find mold that said natural and handmade? The words add such a nice touch to the soap. Thanks! Thank you! They are from Consumer Crafts. For 1 lb of soap base, I typically use around 24 drops of essential oil. But it may be slightly more or less depending on how strong you want it, and how strong of a smell the essential oils you’re using has 🙂 But I like to start around 24 drops. 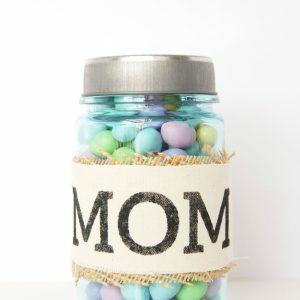 Love the idea as a gift. Who doesn’t love cinnamon. 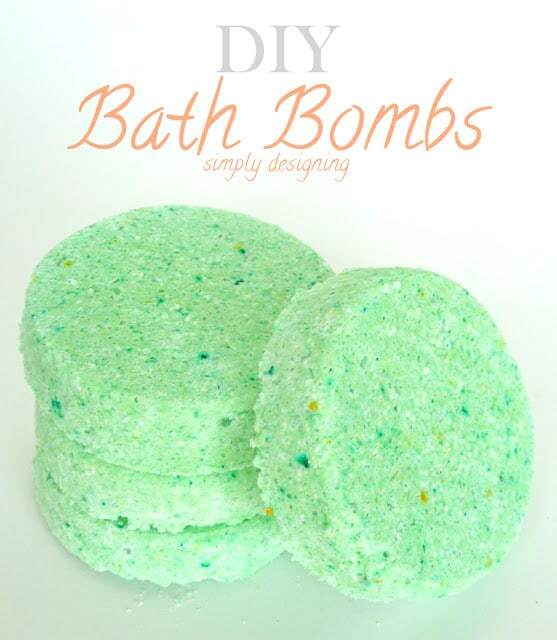 lol How many soap bars would this recipe make? It depends on the size of bars. It should make 4-8 though.